February 2017 - Perry Hood Properties, Inc.
By definition, a walk-in closet is a closet that has enough room for one person to stand in it. By a less technical definition, a walk-in closet is a magical place that can hold all your clothes and lets you organize everything any way you want to. 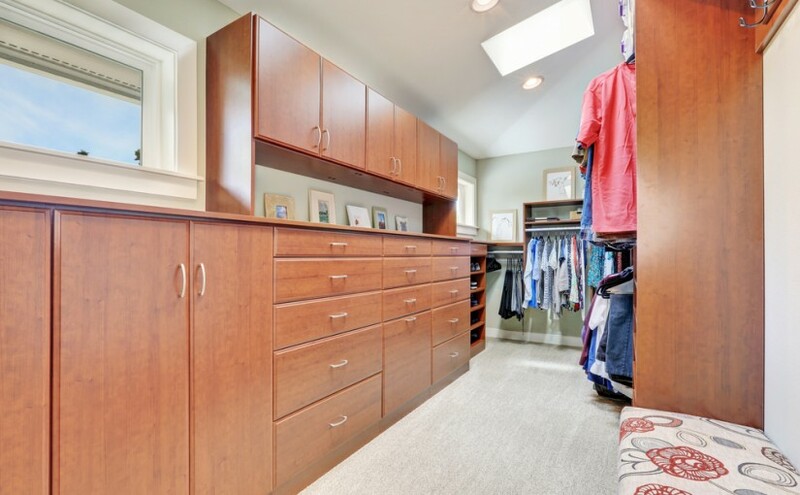 Besides the obvious advantage of being bigger and having a higher capacity for clothes and accessories, walk-in closets offer several key benefits. Organization– With great space, comes great organization. Finally, you’ll have designated spaces for your shoes, bags, accessories, casual clothes, and fancy clothes. By incorporating some custom shelving units, you can really whip the closet into shape. Bonus Comforts– Walk-ins often have extra room to put in a few goodies that make the space more comfortable and luxurious. One of the best things you can put in a walk-in is a small vanity with a mirror and chair. This lets you do your makeup and get dressed all in one place. Dressing Room– If you add a large dressing mirror, you’ll have your own private dressing room right in your home. Instead of having to get dressed in the bathroom or bedroom, you can try on different outfits in your walk-in. When you decide not to wear an outfit you can just hang it back up instead of throwing it on the bed or floor. Security– A walk-in is an ideal location for a safe. In the event of a break in, the crooks will have a hard time finding the exact location of the safe, which gives you an extra layer of security. Walk-ins also make a pretty good hiding spot for Christmas presents. Safety– Depending on the location in the floorplan, walk-ins are typically a good storm shelter for the family to hide in during a tornado. Living in Oklahoma, this will certainly come in handy during storm season. As you can see, walk-ins are a great feature for a home to have. If you’re looking to build your dream home with your dream walk-in closet, call Perry Hood Properties today! When you’re looking for a home with a family in mind, there are a few things you want to look out for. Whether you’re planning on starting a family once you move in or you already have a family and want to make sure the house can grow with you, consider the following before you buy. Floor Plan– If you have a rough idea of how many people will eventually be living in the home, you can plan accordingly. Make sure the home has the right amount of bedrooms and bathrooms to accommodate everyone comfortably. Kids can typically share a room for a while but eventually they’ll ask for their own space. Room for Improvement– If you’re not 100% sure how big of a family you’re wanting, look for a home with some room for improvement. An unfinished basement or attic can make for a prime game room or even an extra bedroom down the road. Schools– Before you buy, check the school districts to see where your kids will be going to school if you buy the house. You can use School Grades to see how different school districts stack up against each other. If your kids are younger, look at every level of school they might attend from elementary to high school. Nearby Amenities– You’ll also want to take a survey of what’s nearby. See how far away things like grocery stores, libraries, and restaurants are. If you’re planning on starting a family for the first time, this is especially important. When you don’t have kids it might not seem like a big deal to drive clear across town to get groceries, but with kids in the mix this easy cross-town trip becomes much more complicated. 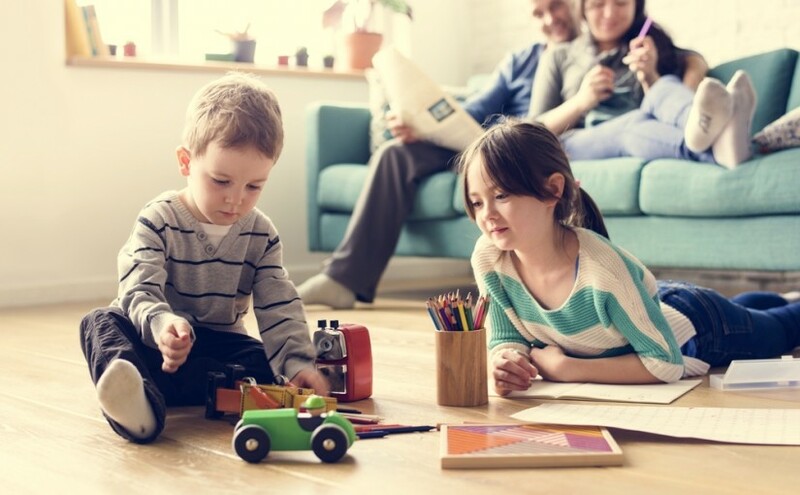 Quality– Kids can be hard on a home, so if your home isn’t made with high-quality materials you can end up spending a lot on repairs. This is why buying a new construction home from Perry Hood Properties is a great option for growing families. We’ve been building homes since 1981 and they’ve stood the test of time. When you start the house hunting process one of the first questions you’ll have to answer is whether you want a new construction home or a resale home. This might seem like a tough decision, but buying a new construction home offers several key benefits that a resale home just can’t offer. Customization– Working with a home builder gives you the power to be part of the building and design process. Doing this gives you a brand new home that’s made just for you. Everything from the floorplan to the flooring to paint color can all be handpicked to fit your ideal preferences. While you can always repaint or redo the flooring of a resale, it will be expensive and take a lot of time. With a new construction home, the house is ready to go as soon as you move in. Energy Efficiency– Construction methods have come a long way over the years, and with modern techniques we can build a home that is significantly more energy efficient than an older resale home. One big way new homes are more energy efficient is the way they insulate. Using high-tech insulation, double or even triple paned windows, and air tight seals around doors, new homes are able to cut way down on the air conditioning bill. New homes also come with brand new highly efficient appliances, which is also a huge energy (and money) saver. Less Maintenance– If you’re looking to make your honey-do-list a lot shorter, a new construction home is definitely the way to go. Since the house was just built, using high quality durable materials, the amount of repairs and regular maintenance will be considerably less than a resale home. Instead of spending your Saturdays remodeling the kitchen, you can have a relaxed weekend spending time with the kids. Warranty– Most new homes come with a warranty that covers any major repairs that are needed during the first year. So if a pipe springs a leak, the builder will take care of the bill. Some warranties cover a home for longer than a year, and they’re transferable when you sell the home. 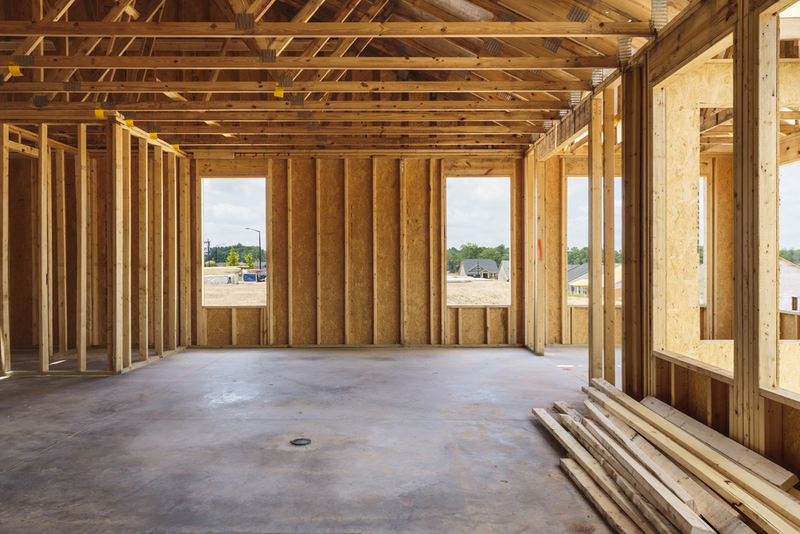 New construction homes rarely have issues in the first year, but these warranties give you extra piece of mind, just in case.